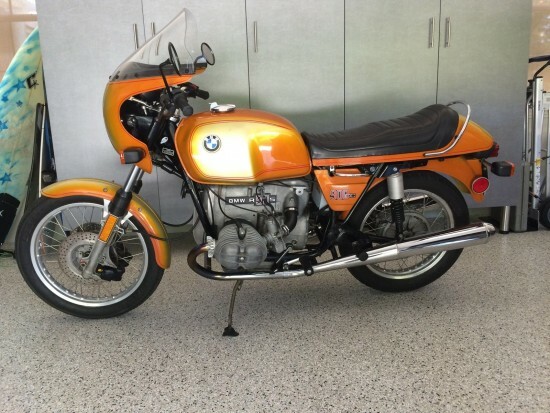 By the early 1970’s BMW was saddled with a very stuffy image that was in real need of an update. BMW’s were unsexy. They were bikes for old men. 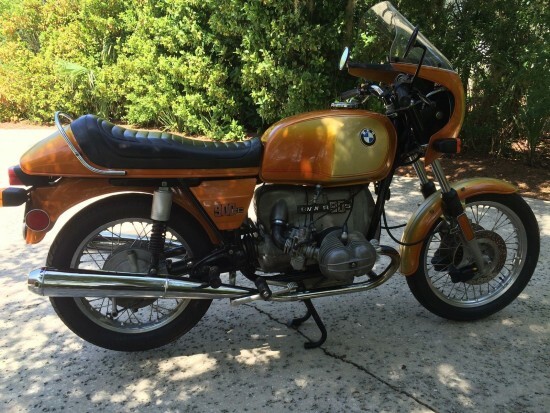 If story that sounds familiar, maybe it will help to think of today’s R90S as the S1000RR of the early 1970’s. In the immediate postwar period, manufacturers proliferated and churned out cheap transportation by the bucketload, so Europeans could get to work efficiently and affordably. But by the late 60’s things had begun to shift and, with the rise of the Japanese, who were churning out cheap, highly sophisticated motorcycles by the bucketload, BMW was facing a bit of an identity crisis, much in the way that Harley Davidson has in recent years, with their fanbase slowly aging out of motorcycles entirely. Or just buying cars instead. The result of BMW’s re-imagining was this stylish machine. It was based on BMW’s proven platform, with the usual host of hot-rod updates to improve performance. 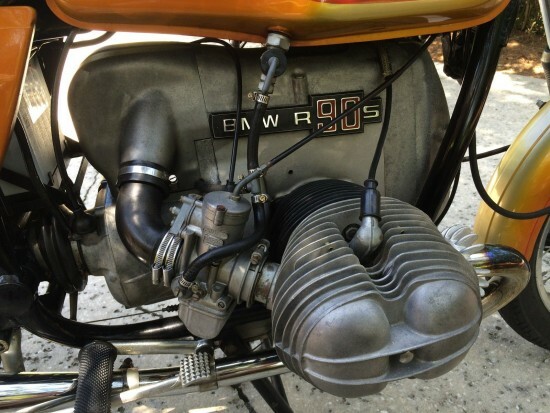 A pair of Dell’Orto carbs and higher-compression pistons were fitted, and the 898cc pushrod, OHV engine was a bored out version of the earlier 750 and the engine featured fairly oversquare dimensions. 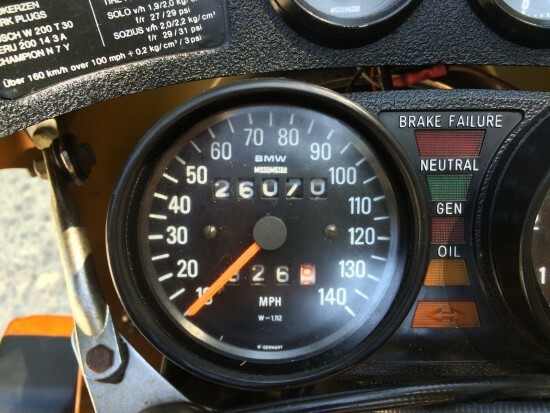 It added up to 67hp and, put through a five-speed transmission, meant a top speed in the neighborhood of 125mph, a very fast neighborhood at the time. For a big sportbike, the BMW was relatively light at 474lbs wet. 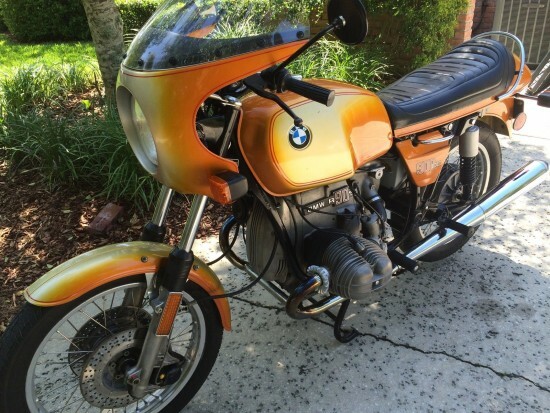 The stylish bikini fairing allowed BMW to compliment the usual tach, speedo, and warning lights with an analogue clock and a volt meter, while twin discs provided improved stopping power over other BMW models, although that wasn’t saying much, and even these upgraded brakes were considered the R90S’s weakest characteristic. Damm Tad. All of the motorcycles currently on page 1 would make my dream collection. The only things I’m missing are money and storage space. 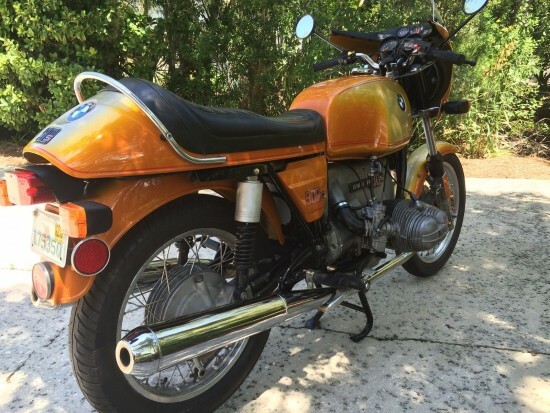 Me too… Just need a nice Laverda triple in there somewhere.